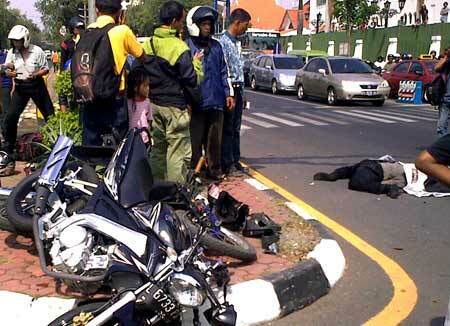 Given the chaos that is Bali roads, it is only natural that accidents can happen. It is amazing that there are not more accidents than there are, given the sheer amount of people and style of driving, but they still do happen and the entire situation is much different than that of a western country. The other day I observed an accident happen and took notice of all of the differences. Usually, it is a bad idea for a foreigner to stop and have a look at what is going on if they observe an accident, due to many accidents being blamed on the foreigner whether they are at fault or not. For this situation, I was already off my motorbike when the accident took place, so I observed from a distance.